Almost ten years ago now, I picked up a copy of Stanislaw Lem's novel Solaris and was struck at how different it was compared to a number of the other books I was reading at the time. It was an interesting and probing novel, one that I don't think I fully understood at the time. (I still don't). Lem is an author who is truly uninhibited by genre convention. Last column, I looked a Ursula K. Le Guin, and have been thinking quite a bit about how science fiction authors began to put themselves into a box midway through the century when it came to 'hard' science fiction. Limiting a story in some regards requires one to limit one's own imagination: after all, we're talking about fiction, where authors can make up whatever they choose. Lem was one of the authors who could make up a considerable story and then deliver it. Go read Stanislaw Lem and His Push For Deeper Thinking over on Kirkus Reviews. Trillion Year Spree, Brian W. Aldiss. Aldiss has a delightfully snarky section devoted to Lem and his works here: both recognizing his brilliance, but also deplicating his attitude towards his fellow authors as well. Transformations: The Story of the Science Fiction Magazines from 1950 to 1970, Mike Ashley. This work has a couple of sections on Lem, which were very helpful in figuring out where he first was translated into English. Gateways to Forever: The Story of the Science-Fiction Magazines from 1970 to 1980, Mike Ashley. This installment of Ashley's series contains quite a bit more information on Lem's interactions with the SF community in the 1970s. Science Fiction Writers, Second Edition. Richard Bleiler. This book of thumbnail biographies contains one on Lem by Peter Swirski, which is an excellent survey of Lem's life and works. Science Fiction After 1900: From the Steam Man to the Stars, Brooks Landon. This book provided some excellent information on Lem's legacy. Survey of Science Fiction Literature vol 5, William Magill. 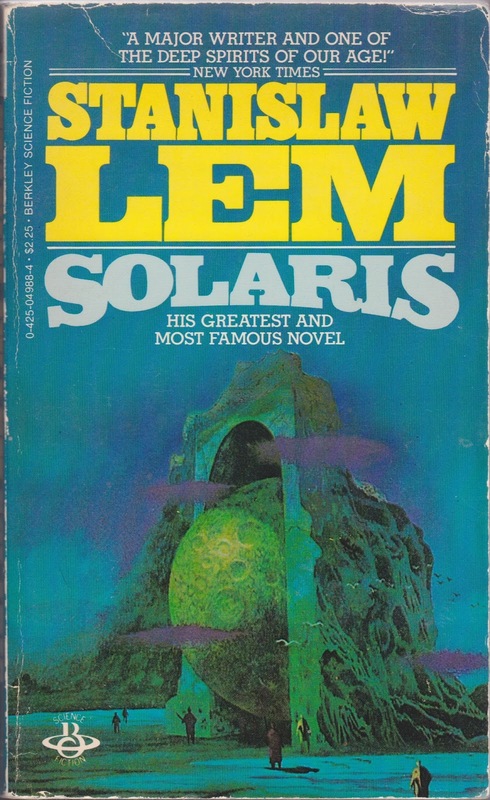 Magill's text contains an excellent analysis of Lem's Solaris, which helped me understand the book a bit better. Across the Wounded Galaxies: Interviews With Contemporary American Science Fiction Writers, edited by Larry McCaffrey. This is an excellent book of interviews, and while Lem isn't interviewed, he is brought up a couple of times.